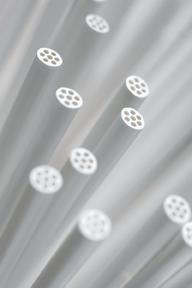 Hollow Fiber UF Systems - Hollow Fiber Ultrafiltration Membrane | Applied Membranes Inc. 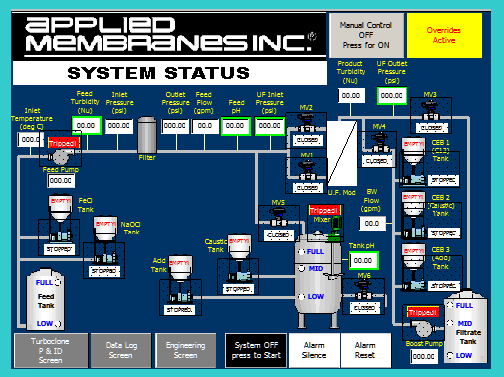 Applied Membranes, Inc. Ultrafiltration (UF) membrane treatment systems are designed to produce clean, purified water from various sources waters, including rivers, lakes, industrial ponds, secondary effluent, well water, and seawater. UF filtrate is used for drinking water, utility water, reclaimed water, food and beverage production, and pretreated source water for RO desalination systems. 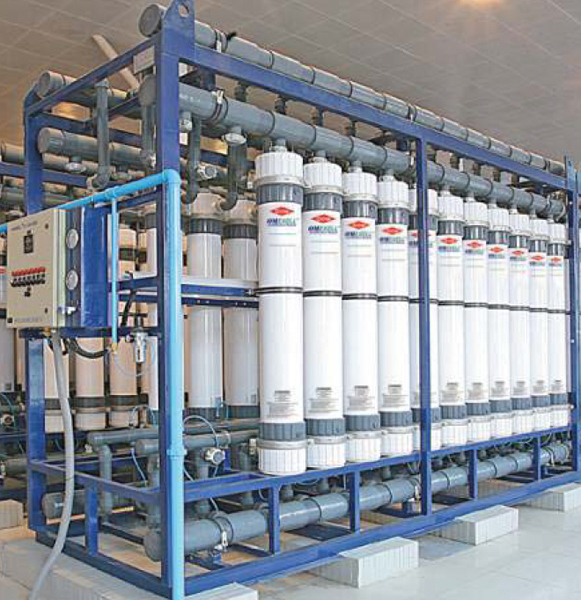 Ultrafiltration (UF) Systems come complete and are skid mounted. These systems are tested before shipment. Please add our voltage codes to the end of the model number when ordering. 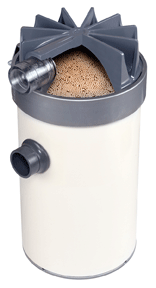 Applied Membranes' Ultrafiltration UF Systems are available in either Outside-In or Inside-Out configurations. Applied Membrane's Ultrafiltration Systems use inge Hollow Fiber Ultrafiltration Modules. Multibore® membrane - The patented Multibore® membrane technology combines seven individual capillaries in a highly robust fiber – an arrangement that significantly increases the membrane's stability and eliminates the risk of fiber breakage. The membrane provides a secure barrier against suspended solids, bacteria, viruses and other microorganisms and supplies a consistently high level of filtrate quality, even in cases where the composition of the original water varies. dizzer® module - Compact and high-capacity ultrafiltration. Thanks to an optimum hydrodynamic design combined with the top-notch treatment efficiency of the Multibore® membrane, the dizzer® module sets new standards in ultrafiltration technology. T-Rack® - Space-saving and efficiency-boosting: the T-Rack® is an integrated, ultracompact rack system that is equipped with dizzer® XL ultrafiltration modules. The inlet and outlet lines are already integrated in the end caps – a design feature that makes the system's footprint considerably smaller. HYDRAcap products contain capillary fiber membrane made from a hydrophilic polyether sulfone, with a nominal molecular weight cutoff of 150,000 Daltons. Feed water enters the center (lumen) of the fibers and permeates through the membrane radially outward, producing a filtrate turbidity typically less than 0.07 NTU. A magnified, cross sectional view of the membrane is shown in figure 1 to the right. The HYDRAcap modules in these systems are operated in the directional flow ("dead-end") method, where all of the feed water is converted to filtrate. The Ultrafiltration modules are regularly backwashed to restore permeability, which declines as solids build up on the membrane. The pH tolerance (1.5 - 13.0) of the membrane allows for the addition of chemicals for cleaning and chemically enhanced backwashing. The DOW™ Ultrafiltration module utilizes a double-walled hollow fiber (capillary) PVDF membrane which has a very small nominal pore diameter for PVDF material that allows for the removal of all particulate matter, bacteria and most viruses and colloids. Despite the small pore diameter, the membrane has a very high porosity resulting in a flux similar to that of micro-filtration (MF) and can effectively replace MF in most cases. 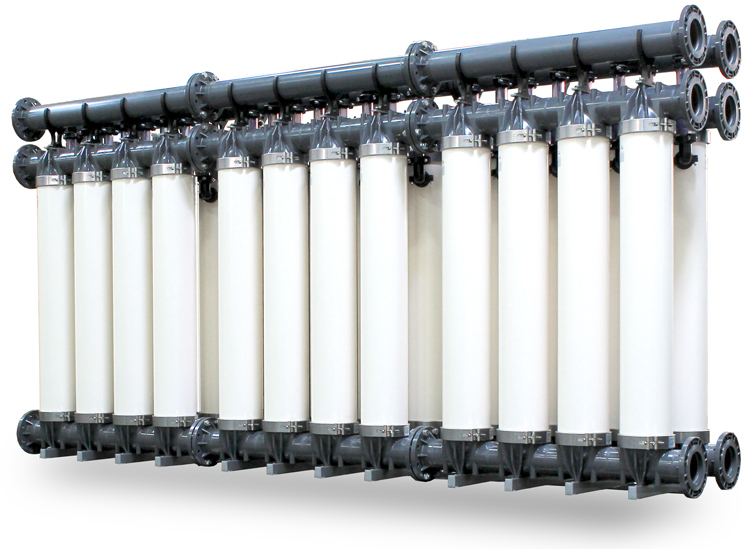 Systems designed with DOW™ Ultrafiltration use an outside-in flow configuration which allows for less plugging, higher solids loading, higher flow area and easy cleaning. The primary flow design is dead-end filtration but the module can be operated using a concentrate bleed. Dead-end filtration uses less energy and has a lower operating pressure than the concentrate bleed, therefore reducing operating costs. 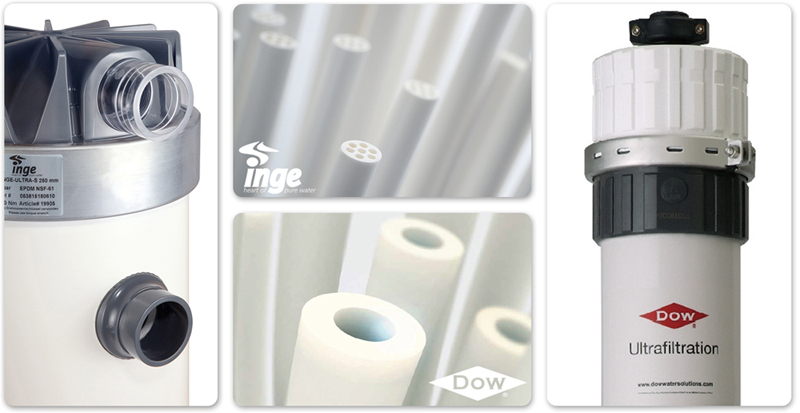 Typically, DOW™ Ultrafiltration is operated at a constant permeate flow. The transmembrane pressure (TMP) will naturally increase over time and the module can be cleaned periodically by back flushing and air scouring to remove the fouling layer. Disinfectants and other cleaning agents can be used to fully remove and prevent performance loss due to biological growth as well as other foulants.